Koos is the new solution from Jané for group 0+. Koos is the infant car seat that combines an extremely light-weight shell with maximum safety. Made using breathable materials, Koos is very comfortable for the baby and easy to handle for parents. Like the rest of the Jané range, the Jané Koos infant car seat is fitted with the Pro-Fix system (patented). This means it can be connected quickly and safely with just one movement onto the ISOFIX base in the car or onto the pushchair chassis. With Jané everything is integrated into the system, so with the simple press of a button your travel system can be transformed. Seat belt lock, for greater stability. Built-in side impact protection for greater safety. Jané Koos meets and exceeds the ECE R44.04 Safety Standard. 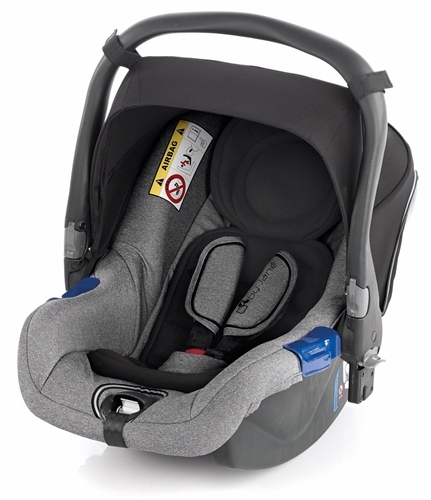 Jane UK Replies: Hi Louise, The Jane Koos car seat will only fit onto the "Jane Koos/Zero Platform" (isofix base). The Koos Platform and Zero Platform are the same (just name change).